If you think there aren’t any cheap midsize SUVs among the 2010 offerings from automakers, think again. By cheap, however, we mean least expensive, since these three top picks have lots to offer consumers in the way of style, performance, handling, comfort and amenities. Sure, you can load them up with optional equipment and really shoot up the price tag – but you really don’t have to. Our top choices for the most inexpensive midsize SUVs are just that: they’re the cheapest base price models available for 2010. In fact, these Cheap Midsize SUVs are great bargains right out of the showroom just as they are. Take a look. 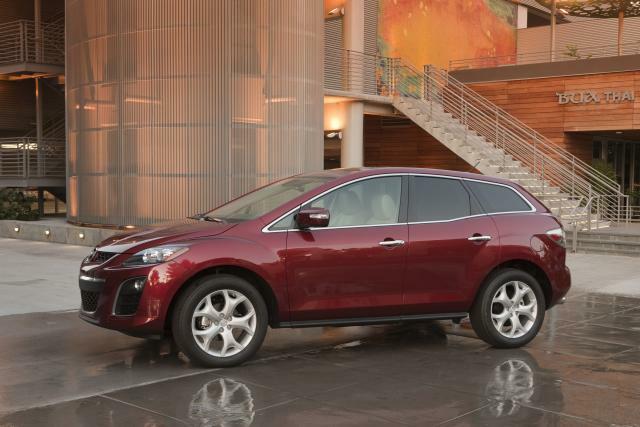 Mazda CX-7 – Next up is the 2010 Mazda CX-7 with a beginning base MSRP of $21,550 – $2,350 less than the 2009 base price. Opt for the uplevel model, however, and it’ll set you back $32,885 to start. Another reason to consider CX-7: Of the three top picks, the Mazda midsize SUV gets the best EPA-estimated fuel economy at 20 mpg city/28 mpg highway. Though it only seats five, CX-7 is a zippy performer with a new base engine, has great styling, sporty handling and excellent crash test scores. 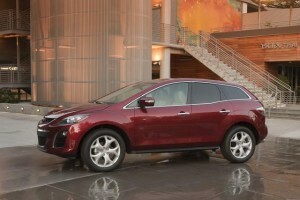 Consumer Guide observes: “CX-7 emphasizes sport over utility and ride comfort to stand out in a crowded market. No other contenders come close to the low starting base prices of these Cheap Midsize SUVs, but up the ante a little and there are a slew of them in the $26,000-$29,000 starting MSRPs: Kia Borrego, Ford Edge, Honda Pilot, Ford Flex, Chevrolet Traverse, Nissan Pathfinder, Mercury Mountaineer and Ford Explorer.